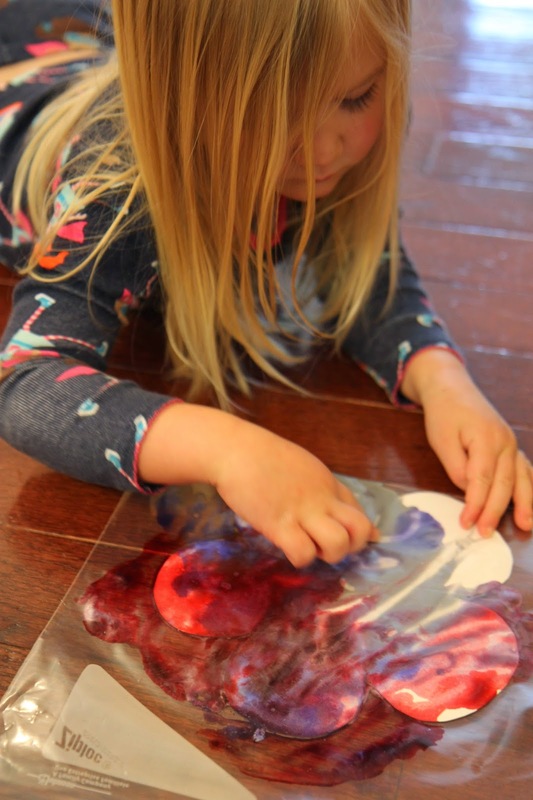 Baggie painting is one of my favorite ways to paint with little ones when I don't feel like making a huge mess or when I have a kid who hates getting their hands dirty! 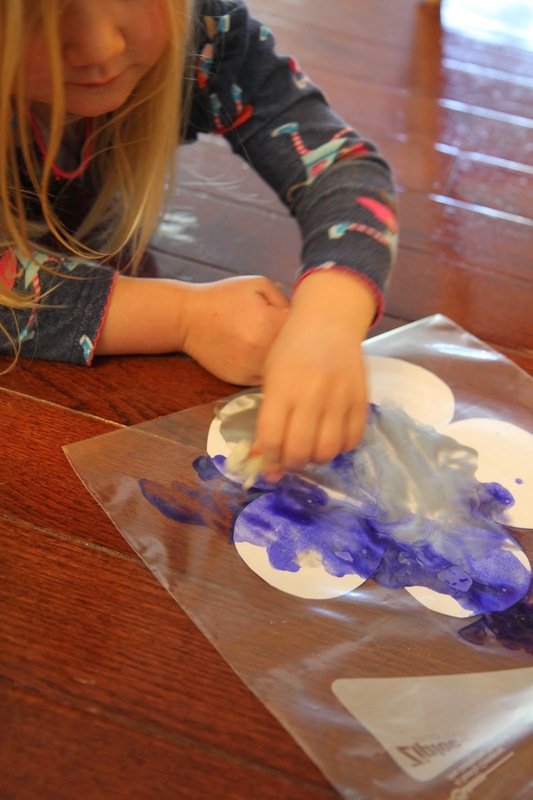 My daughter hates getting paint on her hands and constantly wants to clean them when we are doing art, so baggie painting lets us make beautiful creations without her getting super frustrated. This time we painted we also let my 17 month old participate, so it was awesome to have both kids creating at the same time! 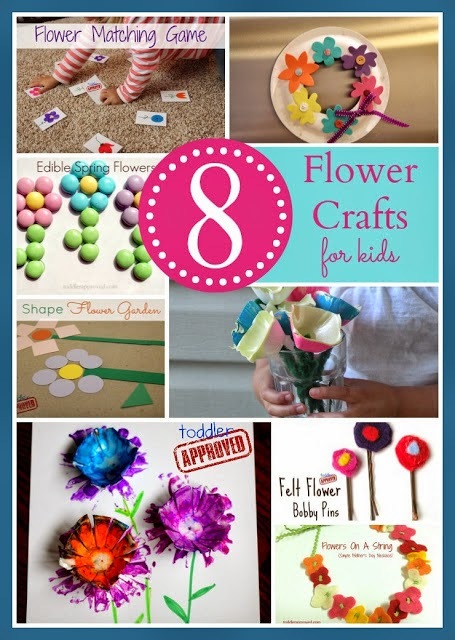 Materials Needed: large ziploc baggies, paint (we used liquid watercolors and tempera), cardstock cut into spring shapes (we cut ours into big flowers), and matchbox cars (optional). 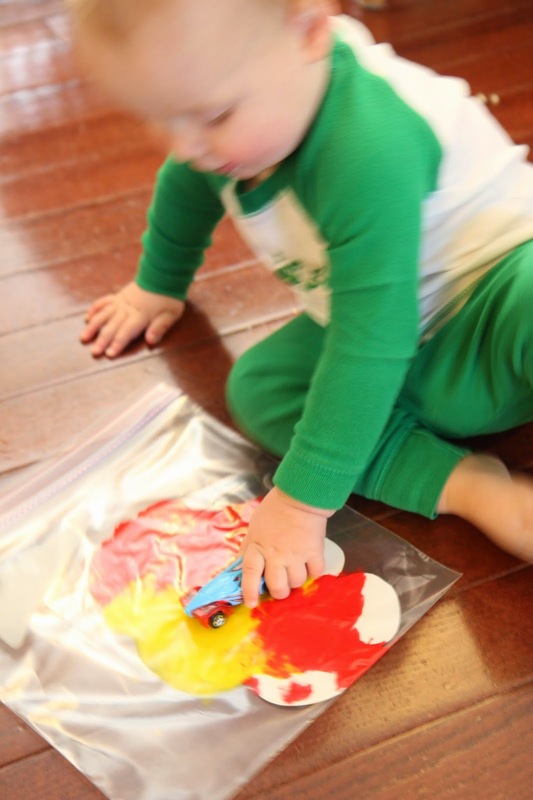 Drop a cardstock shape into a large ziploc baggie, squirt in some paint, and then push the air out of the baggie before zipping it closed. Note: If you don't push the air out before you zip it closed, your child might pop the bag and paint will explode out of it. 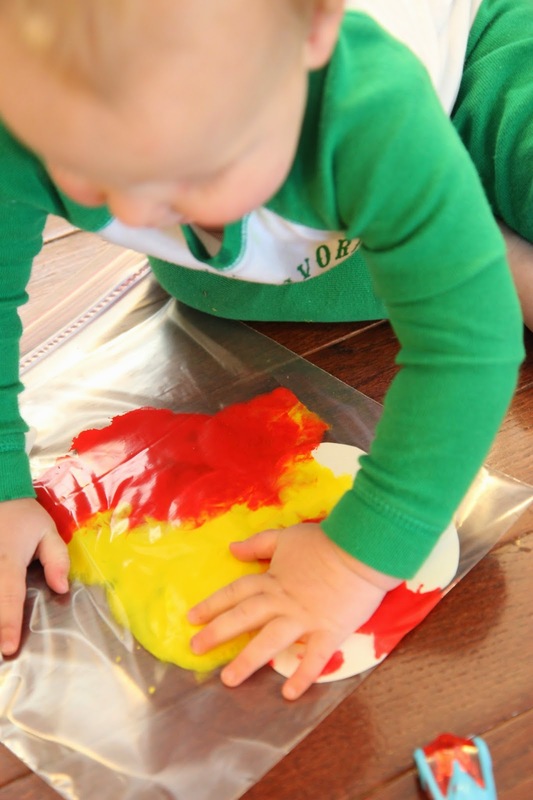 Have your little one use their hands to squish and move the paint around. My 17 month old had fun driving cars over the paint too to make cool designs and squish it more. If it is easier, use some painters tape to tape the baggie to the wall, table, or floor so it doesn't move around as much. After a few minutes of squishing and pushing the paint around, pull the painted shape out of the baggie and lay or hang it out to dry. Make sure you don't leave the paper in the paint filled baggie for too long or else it will start getting too moist and the paper will rip and fall apart. We made several painted flowers and then hung them up on our walls. We plan to turn them into a Spring garland or banner to hang once we make a few more. 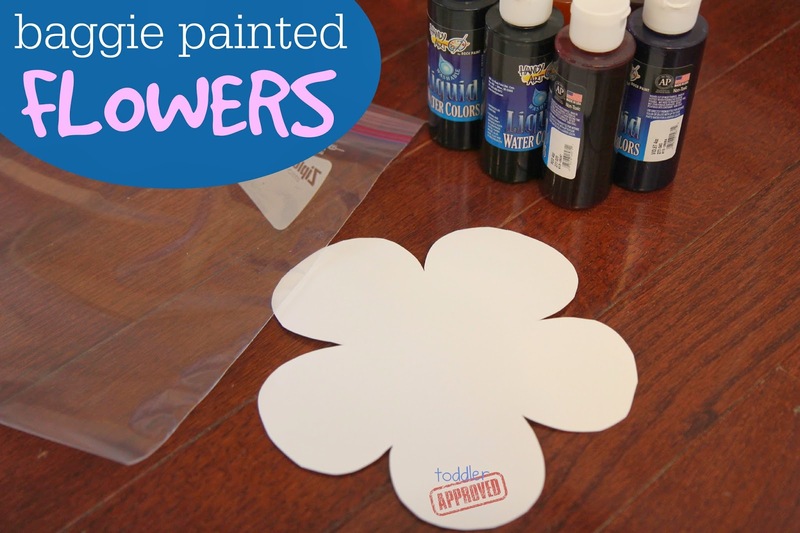 You could also use them to make a Spring Flower mural (like I shared over at Life Your Way). I loved that each one is a different color and has such a unique design. The one shown below has some glittery paint on it so when it moves it sparkles. We loved talking about colors as we mixed them. 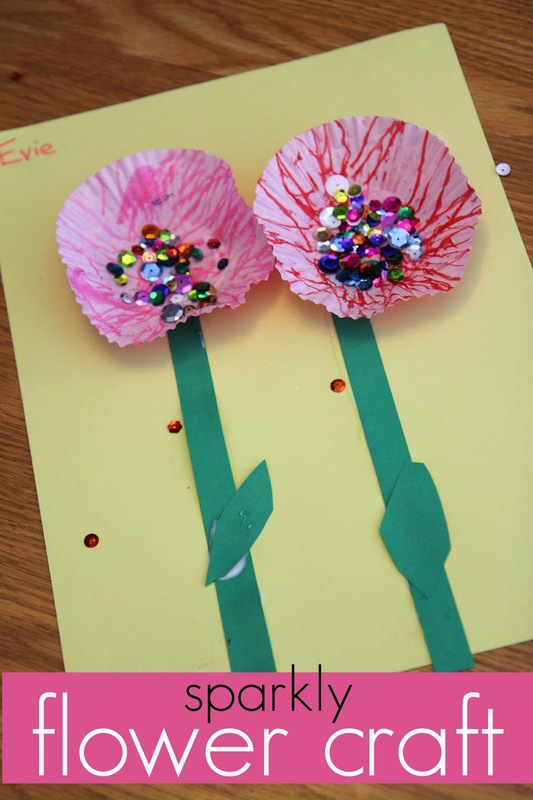 This activity is such a fun process centered art project. This is a great idea for any children but particularly those who have either allergies, physical problems or are autistic!! This would be such a cool way to paint planets. I love doing baggies with paint - but haven't ever put something in that's tangible! Great idea!